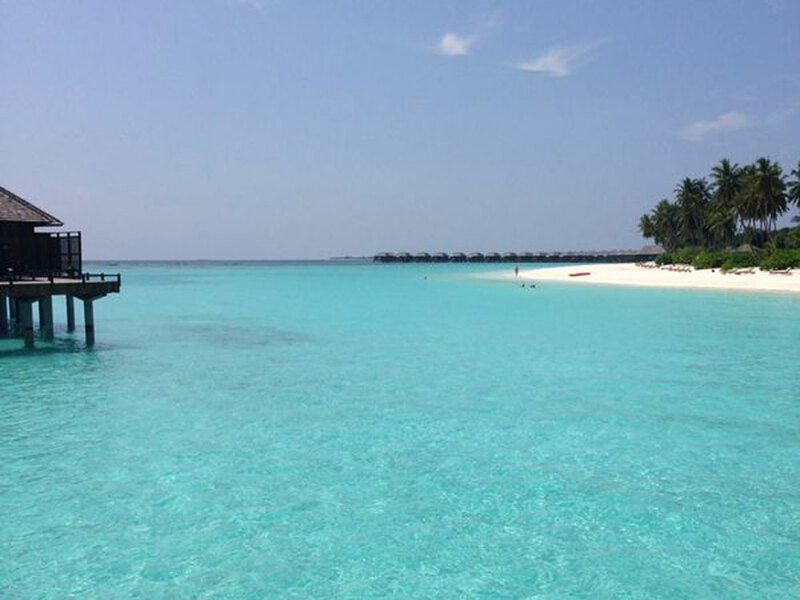 It's day one of the Marie Claire beauty trip to the Maldives, where we're doing this year's BIG shoot. We’ve arrived in paradise. You’d be hard pushed to find a place more beautiful and tranquil than the Sun Siyam Iru Fushi resort in the Maldives, where we’ll be staying for the next few days. But, although the piercing blue waters and chalky sand have made us blissfully forget the 12-hour journey, our poor skin and hair are still feeling the effects. We are just about to meet globally renowned photographer Enrique Badulescus and his crew, so we need some quick cheats to make us look de-stressed and well-rested in record time. 1. After being cooped up in a plane for 12 hours, our thirsty skin thanked us for remembering to bring our Creme de La Mer Hydrating Facial Mask, £190. 2. Find a potent anti-oxidant serum to help rid the skin of plane pollution which would normally cause the skin to dehydrate. We love Radical Peptide Infused Antioxidant Serum, £125 from Space.NK. 3. Resist the on-arrival complimentary cocktail because alcohol is a no-no. The key is to flush out all of the unwanted toxins. So water only, and snack on cleansing fruits such as kiwi and papaya. Take some Vitabiotics Well Woman Inner Cleanse tablets to accelerate the process. 4. Having frizzy and dry hair is no way to start a holiday but being in the air for so long totally dehydrates tresses. We swear by Loreal Sun Sublime, which is nourishing for the hair and protects the colour to prevent dry ends and breakage. 5. Lastly, just jump in the sea. The positive ions you get from the ocean waves are a quick de-stresser. Plus, the sea salt and movement in the water helps lymphatic drainage and will de-puff the skin. Shop this season’s must-have swimwear.